Burial insurance and final expense life insurance are two very popular types of life insurance coverage. Several life insurance companies offer it, but how do you know which ones are the best ones to choose from? I mean, you have to have seen those catchy late night television commercials advertising “$1 a day can buy $100,000 of life insurance coverage” right? Although $1 a day may sound like a great deal, there are definitely stipulations and facts you should know when it comes to those types of offerings. As an independent life insurance agency, No Medical Exam Quotes offers several A.M. Best (A) rated life insurance companies. Our goal is to help you pick the best burial insurance or final expense life insurance policy with a highly reputable life insurance company. Through this article we have put together, we will discuss some of the top rated burial and final expense life insurance companies as well as what their life insurance coverage has to offer. But, before we get into our list of those best burial and final expense life insurance companies, let’s dive into exactly what the life insurance is. What is Burial Insurance & Final Expense Life Insurance? Both burial and final expense life insurance are what are known as whole life insurance policies. Whole life insurance falls under the category of permanent insurance. This means that life coverage is meant to last forever without needing to be renewed. Burial and final expense insurance has been designed with seniors and the elderly in mind. Both males and females within the age ranges of 50-85 often purchase these types of policies. The life insurance coverage does not require a medical exam, has an easier application process to apply and can be purchased in coverage amounts ranging from $1,000 to generally $50,000. The main reason why most people buy a burial or final expense life insurance policy is to make sure they can provide their beneficiary with available funds for burial costs or other final expenses. Buy purchasing a burial or final expense life insurance policy, it can take the financial burden off family and loved ones. What is the difference between burial insurance and final expense life insurance? Honestly, there really is not much of a difference at all. As we mentioned earlier, both burial insurance and final expense insurance are whole life insurance policies. You may have also heard of such terminology as funeral insurance or pre-need insurance and even elderly or senior insurance, these too all fall under the category of whole life insurance. The biggest difference in all the terminology used to describe burial and final expense insurance is not in the type of coverage but in how the death benefit is intended to be used. Most burial life insurance plans are purchased with the main intent of using the life insurance proceeds solely for funeral and burial costs. When determining how much life insurance coverage will be needed, begin doing some research on costs online. There is a lot of current and up to date information available. An even better method may be to visit with a couple local funeral homes and speak with a funeral director to get an even more accurate costs. Most funerals will even work with you by letting you pre-pay funeral costs using a life insurance policy. This works by collaterally assigning the funeral home assignee of the policy similar to that of a beneficiary. The pre-determined cost of the funeral and burial will go to the funeral home as payment while any remaining balance will you to your named beneficiary. Average Traditional Burial Cost in the U.S.
Here’s a little graph we put together showing what the average burial costs in North America in 2017 look like. Based on the information provided from online research, the average burial can cost a family just over $11,000. Although this amount is an only an average, it will vary from individual to individual. Outside of burial costs you may have what are known as final expenses. Final expenses are expenses outside of burial costs. Since burial costs and final expenses go hand in hand, you can add both together in order to get an overall amount of life insurance coverage needed. Earlier we established that both burial and final expense insurance are the same type of life insurance coverage. And we also noted that the only difference between a burial policy and final expense policy is really how the death benefit is intended to be used whether it’s for burial, to pay final expenses or both. However there is one rather large difference and that’s what level of coverage you can qualify for. There are three levels of qualification, which include level death benefit, graded death benefit and guaranteed issue. The level of coverage is largely determined based on the answers to the medical questions listed on the application. Level Death Benefit: The level death benefit option is the best of all three qualification types. Level death benefit coverage pays out the full death benefit from day one without any waiting period. In order to qualify for a level death benefit policy, applicants must be in relatively good health (no high risk health conditions) and meet height and weight standards. Modified or Graded Death Benefit: The graded death benefit option is what is commonly known as life insurance with a waiting period. Graded death benefit coverage is for those with health conditions that may be considered higher risk. Most graded death benefit policies have a two year wait from before the full death benefit will be paid. After the second policy year 100% of the death benefit will be paid out to the beneficiary. If death occurs prior to the second year, the life insurance company generally pays out a full return of all premiums to the named beneficiary plus 10% interest on premiums paid. Guaranteed Issue: Guaranteed issue, also known as guaranteed approval is the same as the graded death benefit coverage. There is a two year wait from the time the policy is purchased before the full death benefit will be paid out. The difference between the graded death benefit option and guaranteed issue option is within the cost. 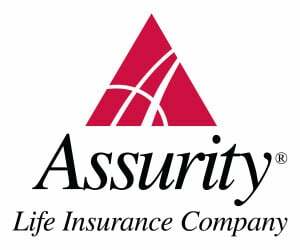 Guaranteed issue life insurance tends to be priced a bit higher as you cannot be turned down regardless of your past or current health. As long as you’re between the ages of 50-85 you automatically qualify for up to $25,000 of coverage. Graded Death Benefit: Death benefit for the first two policy years is equal to 110% of all premiums paid for non-accidental death. After year three, 100% of the death benefit will be paid. Full death benefit will also be paid if death results in an accident regardless of the policy year. Level Death Benefit $3,000 to $35,000: The full death benefit will be paid upon death related to accident or non-accident death. Graded Death Benefit $3,000 to $35,000: During policy year 1 only 40% of the full death benefit will be paid. During policy year 2 only 75% of the death benefit will be paid. 100% of the death benefit will be paid starting year 3. Modified Death Benefit $5,000 to $25,000: During policy years 1 and 2 only 110% of paid premiums will be paid as a death benefit. 100% of the death benefit will be paid starting year 3. *Full death benefit will be paid if death has occurred as a result of an accident at all plans. Ultra Protector I $2,000 to $30,000: The full death benefit will be paid upon death related to accident or non-accident death. Issue ages are 50-85. All health questions on the application must be answered “no” to qualify. Ultra Protector II $2,000 to $30,000: The full death benefit will be paid upon death related to accident or non-accident death. Issue ages are 50-80. Health questions on part one must be answered “no” and one or two are answered, “yes” on part two of the application. Ultra Protector III $2,000 to $10,000: If any health question is answered, “yes” on part one of the application. Death benefit in year 1 will equal return of premiums paid plus 5%. Death benefit in year 2 will equal return of premiums plus 10%. Death benefit in year 3 and beyond will equal full death benefit. Level Death Benefit $5,000 to $50,000: The full death benefit will be paid upon death related to accident or non-accident death. Graded Death Benefit $5,000 to $35,000: During policy year 1 the death benefit will be reduced to 40% of the full death benefit amount. During policy year 2 the death benefit will be reduced to 75% of the full death benefit. 100% of the death benefit will be paid starting year 3. Modified Death Benefit $5,000 to $25,000: During policy year 1 the death benefit will result in 110% of all premiums paid. During policy year 2 the death benefit will result in 220% of all premiums paid. 100% of the full death benefit will be paid starting at year 3. Qualification for coverage will depend on answers to medical questions on the application. If any question is answered “yes” coverage will be denied. Graded Death Benefit: Death benefit for the first three policy years is equal to 100% of all premiums paid plus 5% interest on premiums for non-accidental death. Starting year four, 100% of the death benefit will be paid. *Full death benefit will be paid if death results in an accident regardless of the policy year. PlanRight Level $2,000 to $35,000: The full death benefit will be paid upon death related to accident or non-accident death. PlanRight Graded $2,000 to $20,000: Death benefit for the first two policy years is equal to 100% of all premiums paid plus 4.5% interest or in policy year one 30% of the death benefit and in policy year two, 70% of the death benefit. Starting year three, 100% of the death benefit will be paid. Graded Death Benefit: Death benefit for the first two policy years is equal to 100% of all premiums paid plus 10% interest for non-accidental death. After year three, 100% of the death benefit will be paid. Level Benefit Plan $2,000 to $40,000: The full death benefit will be paid upon death related to accident or non-accident death. Graded Benefit Plan $2,000 to $20,000: During the first two policy years the death benefit will be limited to a full return of premiums paid plus 10% interest. Beginning on year three, 100% of the death benefit will be paid. Approval and death benefit will be determined on health questioned answered, “yes” on the application. Graded death benefit in the first two years, which is equal to 110% of premiums paid for all death other than non-accidental. After year three, 100% of the death benefit will be paid. Here at No Medical Exam Quotes we offer instant online quotes from all the top independent life insurance companies. The quote form located to the right of your computer screen as well as within the article you just read is a great way to start comparing rates from all of the companies mentioned on this list. Online burial insurance and the final expense quoter are great for comparing rates but we do urge that you speak with one of our licensed agents to make sure that you are applying with the best life insurance company based on your individual needs and medical history. Working with No Medical Exam Quotes will eliminate the guessing game when choosing the best life insurance coverage for you and your family. We hope you enjoyer our article on the best burial insurance and final expense whole life insurance companies and look forward to the possibility of working with you! 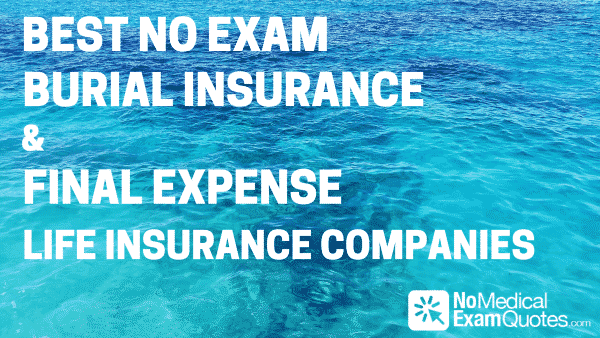 Jeffrey Manola is the owner and an experienced life insurance agent at No Medical Exam Quotes. His goal is to provide online consumers with the absolute top quotes for all term life insurance, permanent life insurance and no medical exam life insurance. Not only does he strive to provide you with the best premium for your life insurance coverage, he also wants you to be well informed about life insurance coverage options and its importance. Never hesitate to reach out to Jeffrey if you need help. No Medical Exam Quotes is more than just an online quoting agency we want to help you save money, protect your future, and earn your trust (888) 777-7574.